“Improving your Serve” is this months topic based on the Book of Mark. Parishoners are encouraged to read it in its entirety and memorizing the central verse. The book is a Gospel that contains Narrative History, Sermons, Parables, and some Prophetic Oracles, as well as it has somewhat of an emphasis in miracles (27 total) which is significantly more than any of the other Gospels. The key word in Mark is “Immediately” which is used 34 times causing the reader to move from one account to the next rapidly. 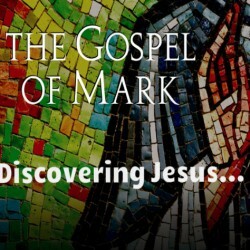 Mark is the shortest of the synoptic gospels and was written about 64 A.D. The key personalities of this book are Jesus Christ, His Twelve Disciples, Jewish religious leaders, Pilate, and John the Baptist. It was written by John Mark who was one of the missionaries who accompanied Paul and Barnabas on their mission trips. It is possible that Mark wrote this Gospel at the urging of Peter (his companion in Rome) since he had firsthand knowledge of the things that Mark wrote about.